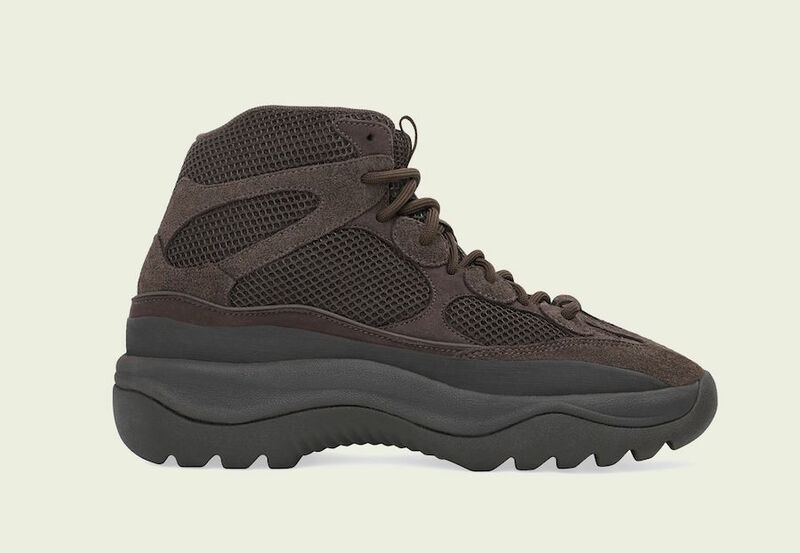 With recent news of the Yeezy Desert Boot Rock releasing in the coming days, adidas and Kanye have yet another model to follow. Dressed in new “Oil” colorway, this silhouette is already fulfilling Kanye’s promise of making the Yeezy line readily available. adidas and Mr. West truly show no signs of slowing down. With each release constituting of larger quantities, and less waiting time in between, it appears that their partnership has come to full fruition. The ever-expanding Yeezy line is continuously updated—both through color ways and models—and will now treat fans to a mid-cut boot model. 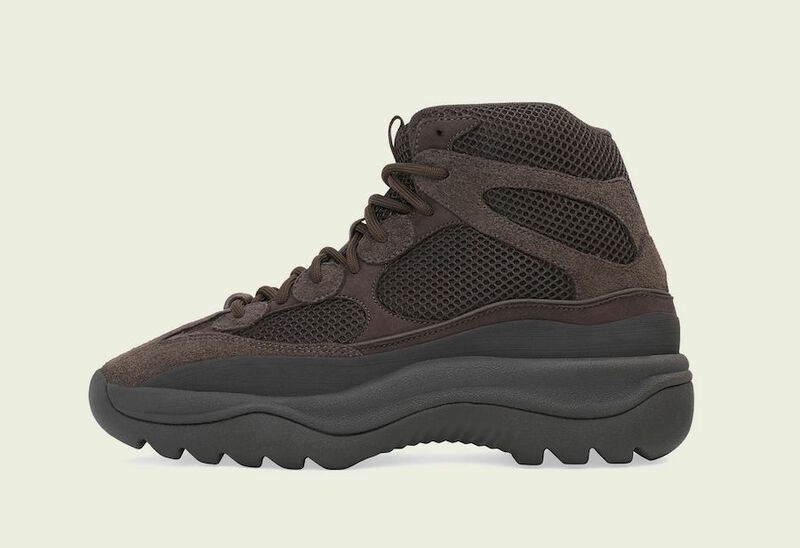 Unlike previous releases, this new iteration of the Yeezy comes equipped with a military-inspired aesthetic while simultaneously showcasing its functionality. With a new design and a classic dark color scheme, the newest release is sure to be a hit amongst fans. 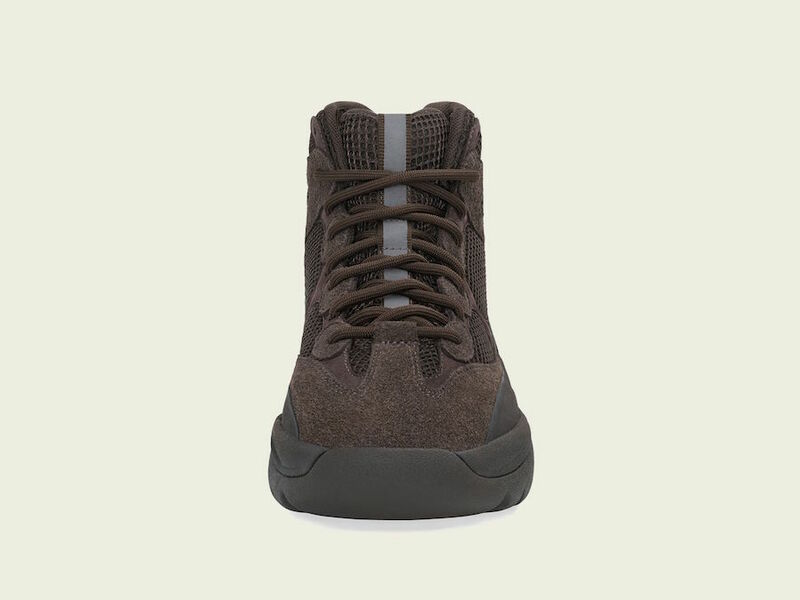 Staying true to previous drops, the newest Yeezy Desert Boot is dressed in an “Oil” color scheme reminiscent of Kanye’s earth-tone designs. 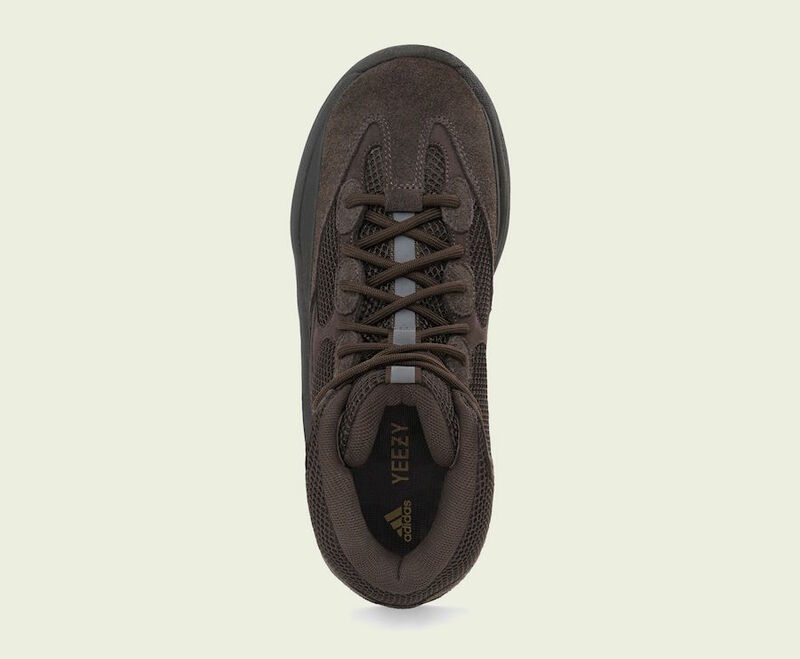 Comprised of several materials such as suede, nubuck, and mesh, the upper is patterned in a similar fashion to that of the Yeezy 500 with added height. The upper is complimented with a minimalist chunky sole that contrasts the two, all while blending style and functionality effortlessly. With recent news of a “Rock” colorway dropping, the Yeezy Desert Boot “Oil” is slated for an April 20th 2019 release. 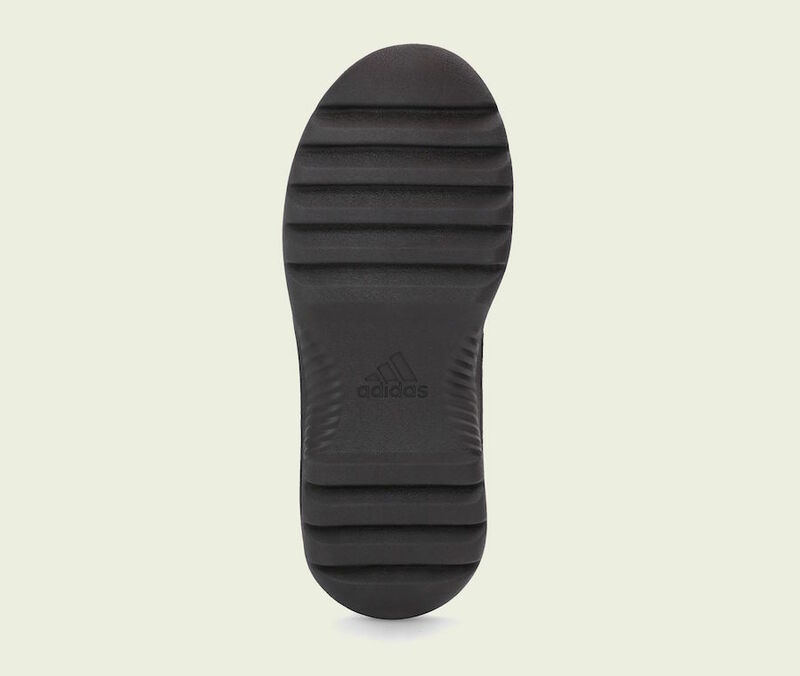 Expected to release through adidas.com and additional retailers, the newest addition is priced at $200. 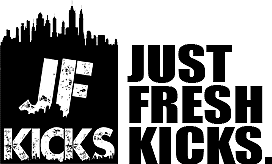 Continue reading below for a closer detailed look and as always, be sure to follow JustFreshKicks for all adidas and Yeezy related news.